100% are IT Recruitment specialists in London area. We specialise in finding the very best IT professionals. With 25 years of experience resulting in expert industry knowledge, our consultants are highly trained and committed to delivering a comprehensive, cost effective service to you. Why look anywhere else for your IT technical staff? We can fill vacancies in all technologies you need to recruit for; from IT Support, Software Development to IT Security and IT Managers. IT Support – 1st Line, 2nd Line and 3rd Line including Helpdesk and Desktop Support. Software developers – Software Developers and web developers from .net to PHP Developers, Testers to Database Developers. Using our expert industry knowledge in IT recruitment we have helped numerous customers, in and around London, to fill their technical positions; from small London IT Support companies, to large International organisations. As focused IT recruiters, we understand how to find the right people quickly and efficiently. 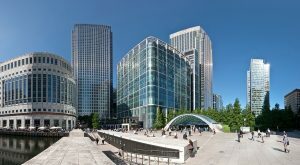 Companies based in Canary Wharf, The Square Mile and across Greater London use 100% IT Recruitment as their sole supplier of contract and permanent IT staff. We offer competitive fees and expert industry knowledge from 25 years experience. Give us a call for a friendly chat 0844 8794523.